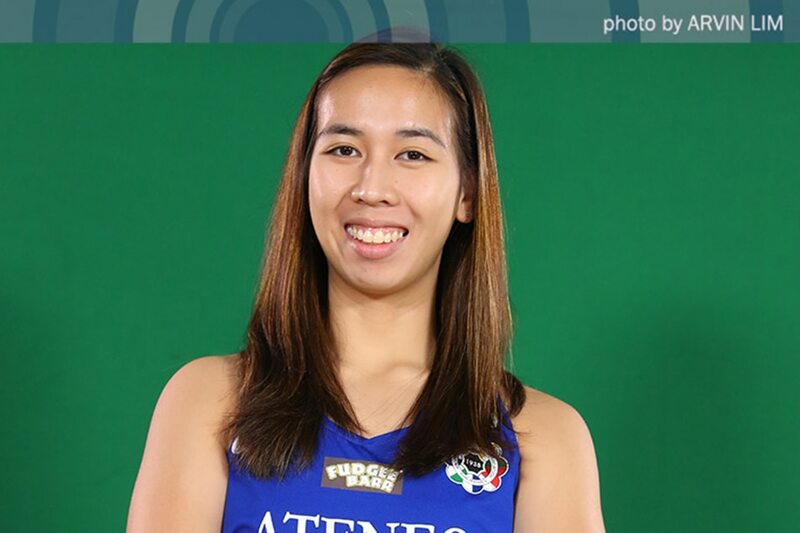 MANILA, Philippines – Season 81 marks both the beginning and the end for Ateneo de Manila University veteran Kim Gequillana, as the soft-spoken player makes her return from a knee injury in what will be her final year of eligibility. Gequillana, who is best known as Ateneo's serve specialist, tore the ACL in her left knee in September 2017, causing her to miss the Lady Eagles' campaign in Season 80. Without her, Ateneo missed not just their dangerous server off the bench, but also one of their more dependable defenders. It wasn't until last August that she was finally cleared to train and play once more. "But when I got back to training, it wasn't really full on," Gequillana said. "I had to (do it) step-by-step pa rin. It's not 100% agad." It is almost impossible to picture the always-serene Gequillana becoming frustrated, but she said that's exactly what happened during her recovery process. While she saw action for Ateneo in the Premier Volleyball League Open Conference late last year, she was always convinced that she could do more than what she was already giving on the court. 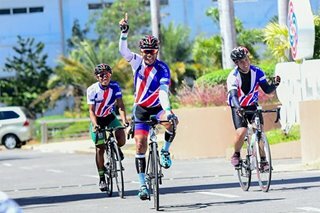 "It was hard kasi at some point, I was frustrated kasi I know I could do more, but then… that was what I can give pa lang," she said. "At the back of my mind, I know mas kaya ko pa."
"I think it served as motivation to work harder and train harder," she added. A couple of months removed from that tournament, Gequillana can say with certainty that she feels even stronger than before. "I didn't expect to have this much progress," she admitted. "Hindi naman (ako) contented, but I'm really satisfied." "But I know I can do more rin." "More" is exactly what Gequillana plans to do in her final season for the Lady Eagles, and she enters the women's volleyball tournament determined to live up to her own high expectations for herself. "Factor din na nawala ako last year. It's like a fresh start," she said. "'Yung hunger, andoon. I want to come back stronger. And then, this is my last (season), so it's more intense." Gequillana is ready to play her best for the Lady Eagles in Season 81. The question is, what position will she be playing when the tournament starts? In Season 79, Gequillana wasn't just Ateneo's serve specialist, she was also a key reserve who could be counted upon to provide a few points while shoring up the Lady Eagles' floor defense. Over time, she would become a dependable receiver and digger for Ateneo. When she made her comeback in the PVL Open Conference, she was sometimes sent in as a libero. Gequillana revealed that in Season 81, she will be focusing on defense. "Generally, I'll accept where I'm more needed. But I guess I think the team needs a libero so I'll be working as a libero, I'll be playing as a libero," she said. This, of course, robs the UAAP of one of its most anticipated sights during Ateneo games – the Kim Gequillana serve. Gequillana's serve has been deemed among the toughest in the UAAP, an unpredictable floater that drops at a sharp angle when least expected. The player can only shrug when asked about no longer being able to do the very action that she has become known for. Instead, she intends to accept the challenge of shoring up Ateneo's famously problematic floor defense and reception – an area of weakness for the Lady Eagles ever since the graduation of iconic libero Denden Lazaro. "Coach was asking me rin, 'Do you wanna accept the challenge?' I was like, 'Yes, coach, I'll do whatever for the team'," she said. "If it's what's best for the team, then I'll do it. And, yeah, if he believes I can do it, my confidence is just gonna follow," she added. This coach, of course, is not Tai Bundit, the mentor who led Ateneo to back-to-back titles in Seasons 76 and 77. Instead, the coach Gequillana refers to is Oliver Almadro, who took over the position after Bundit's contract was not renewed at the end of Season 80. Much has been said of how different Almadro is from Bundit – from his system, to his coaching style, to his method of communication. Bundit was famous for exhorting the Lady Eagles to play "happy, happy" during timeouts, and came up with the mantra "heart strong." Almadro is more fiery, more combative coach. Already he has run afoul of Ateneo's famously passionate fans because of some of his timeout tirades. According to Gequillana, these are the changes that they have come to accept, and even welcome. "I think Coach Tai really trained us well, but Coach O kinda parang defined the terms kung ano 'yung tinuturo ni Coach Tai. So parang what Coach Tai has been teaching us, parang it has more meaning now to us, like it makes more sense," she explained. And Almadro's sharp words? 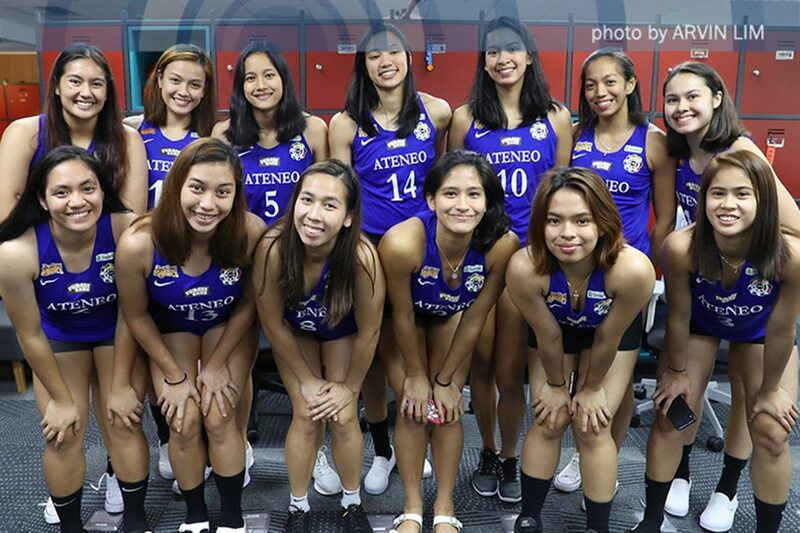 The Lady Eagles take them to heart and learn from them, said Gequillana. "Off the court, he reminds us na rin na he's not gonna stop. Kasi parang all he wants to do is to correct us," she said. "Parang he wants us to be good, and in every way that he can, he's gonna make it happen na he's gonna correct us," she added. "He explained it to us – bakit ganoon siya." "We just have to accept, and we just have to take in context what he's saying."